Spend a few days in Cody to take advantage of these fun attractions and highlights. 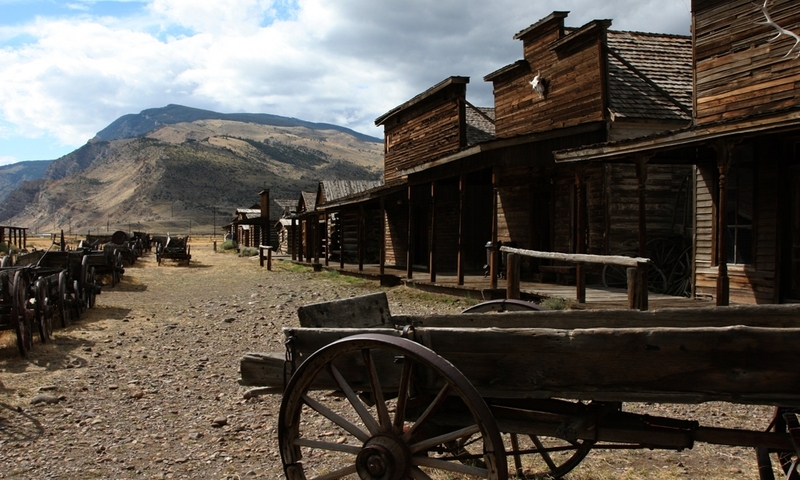 All visitors coming to Cody, Wyoming begin with an anticipation of experiencing a bit of the Old West, and leave happy that they’ve achieved it. The activities and attractions in this historic setting bring the whole family together in ways not imagined. Cowboy Shootout: There’s nothing like witnessing a cowboy shoot-out from the comfort of a folding chair! A favorite of mine are the performances of the Cody Gunfighters in front of the Irma Hotel in Cody. Some seating is first-come, first-served, like on the curbs or rock walls. But you can rent a chair (a couple bucks!) and get in the front row. Be sure to catch this show in the summer, June through September, Monday to Saturday evenings at 6 pm. Chuckwagons & Live Music: Get to hear the old cowboy classics like never before at Dan Miller's Cowboy Music Revue or sit down for a chuckwagon dinner and live music at the Cody Cattle Company. The kids will love it too! Rodeo: Of course, the Cody Nite Rodeo happens every night from June through August, with tons of rodeo events that will thrill the entire family. The rodeo clowns are funny and will have everyone in stitches. But the bronc riding is the best in my book. To get an authentic taste of the Old West and to achieve an overview of where to start on your vacation activities, taking a trolley tour around town can bring you up to speed. Find out all Cody has to offer you on your adventure. The trolley tours run from June 1st to September 26th, 7 days a week. If you are in Cody during Christmas, you can find some special trolley trips available. You won’t want to miss the Buffalo Bill Historical Center while you’re in town. Five different museums beckon you to partake in a trip into the Old West’s past and the excitement and thrills available to all who lived in those days. You don’t have to take it in all at once. Come back between other attractions and activities – your tickets are good for two consecutive days. The Historical Center is open from 8 am to 5 pm each day. At the center, be sure to enjoy the story of Buffalo Bill at the Buffalo Bill Museum and the numerous exhibits in the Plains Indian Museum. Check out the firearms in the Cody Firearms Museum and take in some of the best in Western art at the Whitney Gallery of Western Art. Don’t miss the new Draper Museum of Natural History either! I highly recommend you make a special trip to Tecumseh's Old West Miniature Village and Museum. Here you’ll see a huge model railroad, measuring 7,000 square feet and recreating some key events in the historic west. There are thousands of miniatures, all hand-painted, and you or your kids can push buttons so you can run the trains yourself. Don’t neglect this fascinating attraction when in Cody between the middle of May and the middle of September. It’s open from 8 am to 8 pm. If you are visiting any other time of year, call ahead and you may still be able to visit the museum, since the hours vary in the winter season. Buffalo Bill Dam Visitor Center is a great place to stop and get some spectacular views. This dam was built in 1910, and stands 353 feet tall. Take the audio tour to learn the details of the history of this incredible structure. It’s open daily from May 1st to September 30th. I wouldn’t fail to see Old Trail Town while you are in the area. This collection of pioneer buildings shows a frontier settlement during its early boom days. You are stepping back over 140 years in a special time capsule. You can visit the cemetery and see the grave of Jeremiah Johnson, who was portrayed by Robert Redford in the movie of that name. See the cabin of Butch Cassidy and the Sundance Kid. There’s something here for the whole family. One of my favorite sights, and I’m sure it will be for you as well, is the McCullough Peaks Wild Horse Range. You can find tours out into this wonderful canyon country and see herds of wild horses on the run. The beauty of this area will take your breath away. You simply must bring a camera. Not only sightseeing and taking in the historic past is available in and around Cody. Naturally, the outdoor lovers will thrive here, with thrilling river rafting, kayaking and river floats on the Shoshone and North Fork Rivers. The summer recreation is at a premium here in Cody, Wyoming, with its great hiking, mountain biking, fishing and golf. Winter is great for skiing, ice climbing and snowmobiling.